MESSY is Moving to Iowa! Friends of MESSY, it’s time for some big news. MESSY Dog Training is moving to Iowa! I (Alex) recently got engaged to my wonderful fiancé, Connor. Connor moved about a year ago to the Cedar Falls/Waterloo area for work. I will be moving this summer to join him down in Iowa. Unfortunately, this means I will not be renewing the lease on my current building in Mankato. I’ve LOVED working with all of you in Mankato for the past two and a half years that MESSY has been open. I’ve been able to grow and learn as a trainer thanks to your help, and I hope I’ve been able to help make a difference for you and your dogs as well. Working with owners and their dogs to have better communication and a happier relationship is such an incredible passion of mine, and I thank each and every one of you for letting me share in your training journey with your dog. Even though MESSY will no longer have a physical building in Mankato, that doesn’t mean we are going away! You can still always reach me via email, Facebook, phone, or any other way you’ve communicated with me before. I’ll be available for virtual consults (which have their own exciting opportunities – more on virtual consults to come soon!) as well as coming back to Mankato to visit family and friends, so private lessons or seminars can be set up on occasion. Our new online classes have also started to launch. Take a look at our current free class, Effective Reinforcement, by registering on our website. More online classes on an exciting platform for online learning are also on their way! Cedar Falls/Waterloo – I look forward to joining you soon for in person consults and training. Please reach out to me with any questions. MESSY classes in Mankato will end the week of May 20th, so you still have plenty of time to take a class before I move! If you are interested in something and don’t see it on the schedule, send me an email and we will try and make it work. I’d also love to help direct you towards trainers more local to Mankato who can assist you with further training, if continuing with me for virtual lessons are not best for you and your dog. I’m sad to leave this wonderful community in Mankato and the friends (human and dog) that I’ve made, but I’m looking forward to the adventures to come. 3 Mistakes You Might Be Making With "Stay"
stay while you find your phone to take cute dog photos! Because it is such a versatile cue for our dogs to learn, it's important that we teach it to the best of our ability to make sure it's as useful as possible. In my years of teaching classes, I've come across 3 common mistakes owners make that can hinder their ability to teach an even better "stay" cue. When we ask for a "stay" we should teach our dogs to stay in that place until we say otherwise. It can be really tempting, however, to keep your hand help up like a stop sign and say "stay....stay....stay..." the entire time. We want our dog to succeed and stay even longer, right? That might feel like the best way to lengthen your stays. However, think to some of the scenarios mentioned above. Wouldn't it be nice to ask for a "stay" one time, and then answer the door and greet your guests? Practice training *yourself* to say stay a single time, and slowly raise criteria and time as the dog is able, rather than continually saying the cue. This will give you a more useful stay for various life situations in the future. A release word is critical when teaching your dog to stay. Your release word means "the stay is over now, you can move." 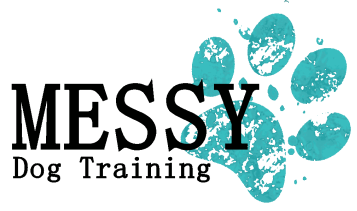 Having a clearly defined release word, and only rewarding when your dog remains in place until they hear the release word, will help your dog understand what stay truly means. Sometimes owners are in the habit of saying "come here!" or just simply clicking and rewarding when their dog is done with their stay. However, we should always train that release word so that your dog can easily be released without a clicker, or if you don't actually need to call your dog but just want to let them explore, or retrieve the ball they've been waiting to fetch! "OK" is a common choice, but we tend to say it often in our daily lives. More unique choices include "break," "free," and "all done!" Finally, it can be really exciting as you being to add distance to your training to be in the habit of always calling your dog to you. You ask for a stay, walk away, and in the excitement of your dog staying in place, we call our dogs to us, adding in a recall practice at the same time. I run to my owner! Super fast, look at me go! Owner is excited. I get lots of treats! Dogs thrive on patterns. If it is always extremely rewarding to run to you, right after you walk away, you can actually see a dog start to get up and run before you have asked them to come to you. This can be frustrating, because our dogs were previously doing so well, and seem to backslide. Looking at our training, though, we can see that our dog is just super smart and "knows" the next step. You can avoid creating this pattern by sometimes walking back to your dog and pausing before releasing them to a fun party, and sometimes calling them to you. If you mix up what happens at the end of a stay, you can help avoid the creation of any patterns we don't want the dog to know. Happy training! What areas of "stay" do you and your dog struggle with the most? What parts go well? Effective Reinforcement - A FREE Online Course! You can also access it for the time being by simply creating an account using the "log in/register" button in the website header. Each section consists of bite sized information so that dog owners (such as yourself!) can easily refer back to it without searching through a lot of information on a web page. There's also a free PDF that comes with this course to serve as a worksheet for working through what reinforcers are best for your individual dog! ​This course is the first released in our upcoming online training series since it makes a great starting point for all training. If we don't know how to best motivate and reinforce our dogs, all the rest of the training we do down the road has to potential for frustration (human or dog) to sneak in due to a lack of effective reinforcement. If your dog is easily excited about everything except you when you are training, or if you are looking to revamp your reinforcement ideas, you will definitely want to check out Effective Reinforcement. We are always here via email to assist you further, or if you have any feedback on the online course itself. Have a topic you would like to know about via online learning? Drop us a comment below! Welcome to MESSY Dog Blog! Hello friends, old and new! This blog has been in the works for a long time, and I am so excited to finally share all the content that's always popping into my head (or out of my mouth when I'm around dog trainers)! My name is Alex, and I've been training dogs since my 4-H days when I started working with my mix breed dog, Mya. Mya was my "crossover" dog and a dog that I learned SO MUCH from - I will forever be grateful for her and my experiences in dog training and the dog world because of her! 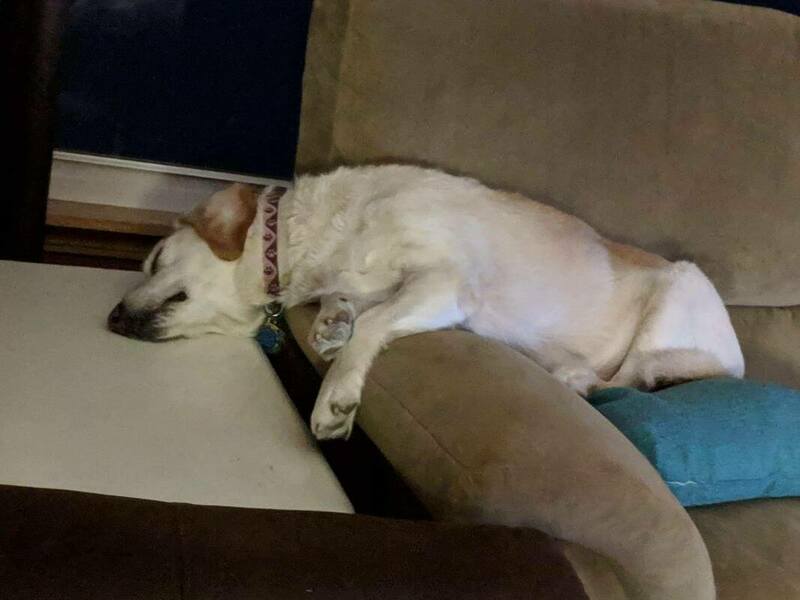 She's just a few weeks away from turning 12 now, so she is mostly retired from agility and other competitions and is enjoying the life of a spoiled senior dog. 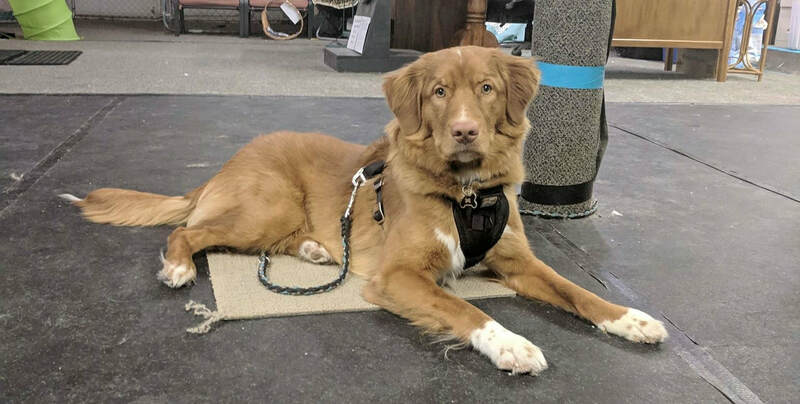 A few months ago I was able to fulfill my dream of owning a Nova Scotia Duck Tolling Retriever, and added Windigo to the family! Windigo is named after Isle Royale National Park, a place near and dear to my heart after backpacking across the island. He's currently 9 months old, and full of energy and "nonsense" as he's frequently reminded! He's being trained for obedience, rally, and agility competitions in the future, as well as whatever fun tricks or sports present themselves along the way. Outside of dogs, I am a graduate student working on my Master of Public Health degree, participate in historical re-enacting, and try to spend as much time in the woods as possible. 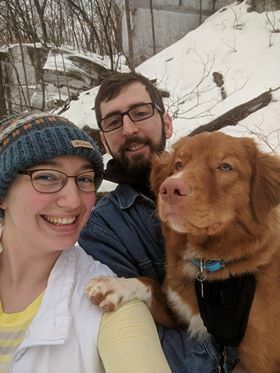 My fiance and I enjoy camping and hiking, and of course the dogs love it too! My love of science and my love of dogs collided when I began to learn about the science of learning, and how we can apply it to better the lives of our dogs. I also LOVE teaching. Drop a comment or send an email with suggestions for anything you'd like to see on the blog. I look forward to sharing more musings on life with dogs and scientific training with you in the future!